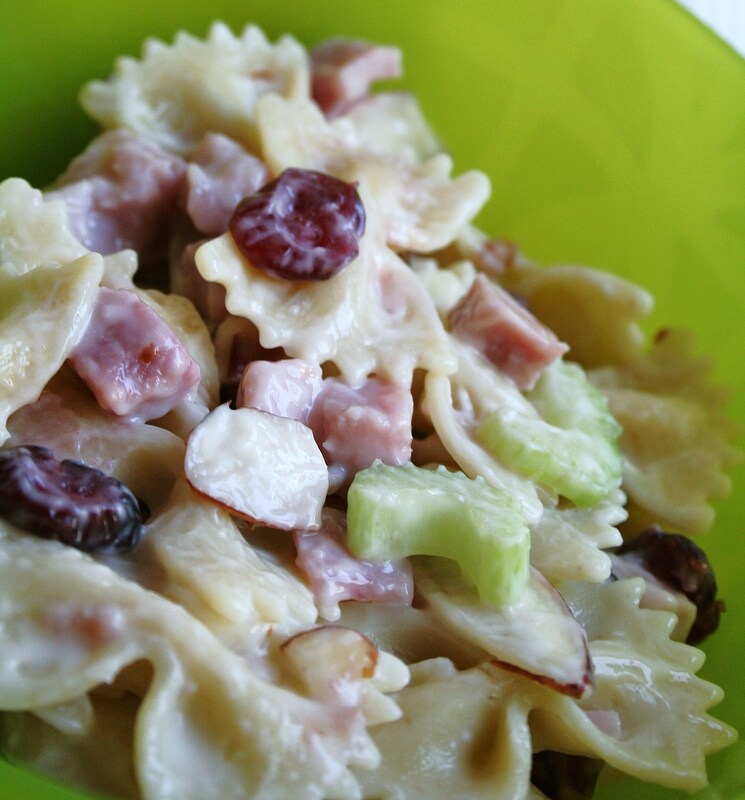 This is a sweet and tangy pasta salad filled with dried cranberries and almonds. Cook pasta per box instructions(9-12 minutes) when done drain and rinse with cold water. While pasta is cooking combine mayonnaise, vinegar and sugar in a bowl. Once cooled pasta has been drained add to large bowl with diced turkey or ham,celery, dried cranberries,almonds and dressing. Mix well until everything is well coated. Serve as is or refrigerate.